John Stone was one of the most outspoken and controversial figures in Australian public life. When head of the Treasury during the late 1970s and early 1980s he was widely regarded as Australia's leading public servant. In 1978 the journalist Paul Kelly described Stone as one of the two men who ran the nation (Prime Minister Fraser was the other). To his admirers he was a brilliant and responsible fiscal conservative, to his detractors a dogmatic and inflexible right-wing fundamentalist. He could be charming, witty and flattering, but he is often decried as being obstinate and arrogant. Only after a long and distinguished career in the public service did he enter Parliament and serve less than half a term in the Senate. In so doing he became the only commonwealth departmental secretary to become a member of the Australian Parliament. John Owen Stone was born in Perth on 31 January 1929, eldest of two sons of Horace Joseph Stone, a wheat farmer, and his wife Eva Sydney Myee, née Hunt, a primary school teacher. His childhood was spent near Korbel, a tiny railway siding in the central wheat belt of Western Australia, about 250 kilometres east of Perth. Stone's first year of schooling was at Cargill Street State School, Victoria Park, Perth; he then attended the local school at Korbel. His parents divorced when he was twelve, and Stone and his younger brother moved to Perth with their mother. Stone gained a scholarship to 'that remarkable intellectual nursery', the Perth Modern School, and from there went to the University of Western Australia (UWA) where he studied science. He excelled academically and graduated with first class honours in 1950, majoring in mathematical physics. Fiercely competitive in everything that he undertook, Stone was also a capable cricketer and a state hockey representative (during the early 1960s he ran thirty-two kilometres from Canberra to Lake George in response to a challenge). During 1951 he served as president of the Guild of Undergraduates; in the same year he won a Rhodes scholarship and left for Oxford in August 1951. Half way through his first year, Stone dropped physics and transferred to economics. He graduated with a BA in politics, philosophy and economics, again achieving first-class honours. In July 1954, in London, he married Nancy Enid Hardwick, a biochemical researcher, whom he had met at UWA. They would have a daughter and four sons. Stone joined Treasury in 1954 but served nearly half of the next twenty years overseas: in London (1954–56, 1958–61) and in Washington (1967–70), where he was executive director for Australia, New Zealand and South Africa in the International Monetary Fund and the World Bank. Some believe his superiors in Canberra wanted him out of the way, but his talents could not be denied and he rose to become a deputy secretary of Treasury (1971–78) and eventually its secretary (1979–84). Well before Stone became head of Treasury, he was its principal policy-maker and spokesman, and exerted a major influence on several federal governments. Although conservative on most issues, he had no firm party-political affiliation. While most often voting in federal elections for the Liberal Party, he at least twice (1972 and 1983) voted for the Labor Party. Stone established 'a reputation for incisiveness and quaintly academic sarcasm, which would become his customary form of communication'. He felt a profound suspicion for all politicians whatever their persuasion and was often openly contemptuous of them. Stone clashed with several of the treasurers he served, and his relationship with John Howard (1977–83) was described as 'poisonous'. Stone later described Treasury's function as being 'to hold the gate against the barbarian hordes', with a duty to remind ministers of the consequences of their actions. He championed the independence of the public service as fiercely as he privately criticised the political expediency of governments, and he was particularly annoyed by ministers who sought the advice of outside experts rather than following that given by their departmental head. Not surprisingly, Stone made enemies. He was variously described by commentators as 'Australia's leading economic hawk', 'the nation's most powerful advocate of economic rationalism', an 'apostle of the free-market', and 'probably the most militant neo-classical economist in Australia'. None of these epithets do justice to his approach to economics, which was more complex and contradictory than most contemporaries seemed to notice. His move to the right was gradual. In 1987 Craig McGregor wrote that Stone had 'abandoned more positions than Hannibal: he used to be a centralist but now he is a states man, he used to be a Keynesian but now he is a neo-classicist'. Stone became a consistent opponent of federal governments' 'big spending' and willingness to accept budget deficits. But contrary to what one might expect from an economic liberal, he opposed the Whitlam Government's drastic tariff reductions in November 1973. Stone's heyday was during the Fraser years (1975–83). Although he did not take up the role as head of Treasury until January 1979, Stone was the driving force behind the Fraser Government's 'fight inflation first' strategy in the face of the misgivings of the prime minister himself. By 1978 Stone's conservative economics, coupled with his influence on the government, led South Australia's Labor Premier Don Dunstan, to describe this period of Australian politics as the new 'Stone Age'. Stone's reputation and influence were abetted by his use of the media. He was one of the few top public servants prepared to seek out the media and offer an opinion on virtually any economic issue—something that angered and frustrated politicians while affording him the highest public profile of any of the Canberra mandarins. When Labor returned to power in March 1983, Hawke urged his Treasurer, Paul Keating, to sack Stone. Keating was mindful of Stone's international reputation for fiscal responsibility, and the need for Labor to distance itself from the economic policies of the Whitlam years. He ignored Hawke's advice. Initially, Stone enjoyed a remarkably close and harmonious working relationship with Keating. Keating's increasing confidence in his own grasp of economics eventually led to a parting of the ways. Late in 1983 Stone suffered a major rebuff when, against his advice, the federal government floated the Australian dollar. From this time Keating overrode Stone's advice regularly and consulted directly with other advisers, including more junior Treasury officers. Other frustrations for Stone were the reduced role of Treasury, following the loss of its power to set the exchange rate, and the increasing independence of the Reserve Bank, and the government's 'politicisation' of the public service. On 15 August 1984, six days before the Budget, Stone announced his intention to resign from his position and retire from the public service. Stone's resignation from Treasury was a major turning-point in his life. Even before his resignation took effect in September, he foreshadowed his future role as a social commentator when he delivered the Edward Shann Memorial Lecture at the University of Western Australia on 27 August 1984. He launched a scathing attack on governments and trade unions for maintaining what he considered to be the principal evils of the country's economic system: excessive government borrowing and centralised wage-fixing. Stone described the latter as 'a crime against society', accusing the arbitration system of causing high levels of unemployment, especially among young people. Over the next few years he gained appointments as a visiting professor at Monash University (1984), a senior fellow of the conservative think tank, the Institute of Public Affairs (1985–87 and 1990–95), and as a weekly columnist for the Melbourne Herald, and he received numerous offers of speaking engagements in Australia and even overseas. In 1986, with a few others, he formed the H. R. Nicholls Society, a group committed to reform of Australia's longstanding industrial relations system. In early 1987 Stone accepted an offer by the Queensland branch of the National Party to develop its proposals for a single rate tax. Working with the Queensland Premier Joh Bjelke-Petersen, Stone became involved in the ill-fated 'Joh for Canberra' campaign, and joined the National Party in May 1987. The National Party in Queensland accorded Stone second place on its Senate ticket for the forthcoming federal elections. In order to accommodate him, Senator Stan Collard was dropped from the ticket and Stone was placed ahead of two other sitting senators. In July 1987 the former public servant, who was well known for his scornful judgments of politicians, became one when he was elected as a National Party senator for Queensland. Stone's reputation was such that it caused little surprise when he was made shadow finance minister by Leader of the Opposition John Howard, and elected Leader of the National Party in the Senate. In his first speech to the Senate, Stone observed that 'in matters of government I have come increasingly to the view that small is beautiful'. Within weeks he had made his mark by spearheading opposition to the government's proposed identity-card legislation. Approached and informed by retired Canberra public servant Ewart Smith, Stone pointed out that the key operational clauses of the Australia Card Bill were dependent on regulations which could be disallowed by either House of Parliament, an outcome likely in the Senate where the Coalition and the Australian Democrats had the numbers to disallow the regulations. The government, already embarrassed by public concern about intrusions upon privacy, shelved the legislation. Labor's Senator Aulich remarked begrudgingly that 'it was a wonderful entry into politics' for the new senator from Queensland. Such victories were as rare as they were unexpected. For the most part Stone's two and a half years in the Senate were distinguished by persistent and vigorous attacks on the government's economic policies. Highly articulate, if also verbose and pedantic, Stone spoke frequently, interjected often, and niggled government ministers at question time. His verbal exchanges with the government's finance minister, Senator Peter Walsh—one of the few senators for whose knowledge of economics Stone had much regard—became a regular event during parliamentary proceedings in the late 1980s. Only very rarely did Stone fail to follow up with a supplementary question. Stone's principal concern was the level of foreign debt, both public and private. In the Senate he reiterated that the Hawke Government was 'the highest taxing government in Australia's post-war history' and needed to restrain its expenditure. He also believed that Australia's productivity was too low and that the country was losing its competitiveness in international markets. Major reforms were needed to reduce business costs; in particular, both the waterfront and coastal shipping had to be restructured. Protective tariffs should be cut and more government enterprises privatised. He continued to urge the deregulation of the labour market and the dismantling of centralised wage-fixing. Stone saw the source of some of Australia's major economic problems as 'the trade union bosses' and the Labor Government's apparent unwillingness to challenge them. Stone took a passionate stand against the government's War Crimes Amendment Bill 1987 mainly because he believed it impossible to give defendants a fair trial several decades after such crimes had allegedly been committed. But it was the issue of immigration—already a subject of controversy due to recent comments by John Howard expressing concern about increased Asian immigration to Australia—which got him into trouble. In 1987 and 1988 Stone offered several public statements on the issue, culminating in a television appearance in September 1988, during which he declared that he would not retreat from his opinion that 'Asian immigration has to be slowed, there's no use dancing around the bushes'. The furore that ensued forced a reluctant Howard to act on the ground that the shadow finance minister insisted on making public statements outside his portfolio. When Stone refused to give an undertaking that he would confine himself to economic issues, pointing out that his Senate leadership role required him to range across portfolios, Howard sacked him from the shadow ministry. Eight months later, in an indication of Stone's value to the Coalition, he was reinstated as shadow finance minister. If Stone was indispensable to the Coalition in Canberra, he was also highly regarded by the National Party in Queensland. Although he did not succeed in winning the deputy leadership of the party in July 1987, he was encouraged to stand for a seat in the House of Representatives and was duly endorsed as the NPA's candidate for the Sunshine Coast seat of Fairfax. He resigned from the Senate on 1 March 1990 but failed to win the seat at the elections later that month when the NPA suffered an eleven per cent decline in its Queensland vote. Stone had insisted that he would not nominate for his own Senate vacancy if defeated, but in April 1990 he did nominate. His action caused uproar in the National Party and he eventually withdrew. His career as a parliamentarian was over. After his defeat Stone maintained a high profile. He lived in Melbourne from 1990 until 2000, when he relocated to Sydney, settling eventually in Lane Cove. 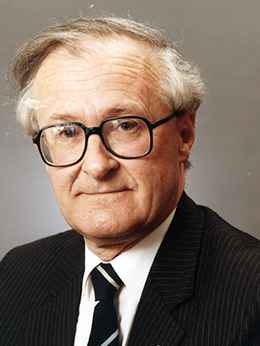 In 1992 he co-founded the Samuel Griffith Society, dedicated to promoting discussion of the Constitution, particularly in support of decentralisation, a renewal of federalism, and restoration of the authority of Parliament. Between 1996 and 1997 Stone participated in a federal government committee inquiring into the effectiveness of the Australian Defence Forces. He produced regular press commentary for the Australian and the Australian Financial Review and conservative journals such as Quadrant and the National Observer. He did not limit his attention to economics and industrial relations, also championing conservative causes such as opposition to multiculturalism, judicial activism, and the proposed Australian republic. During the long period of Coalition rule (1996–2007) his attitude towards Prime Minister John Howard warmed considerably, and in 2008 he wrote that, apart from Menzies, Howard had a 'strong claim to having been Australia's greatest prime minister'. Through the first decade of the new century, Stone continued his public role as an uncompromising right-wing critic of Australian society. Malcolm Saunders would like to acknowledge the financial assistance of the University of the South Pacific which allowed him to contribute to this entry. Paul Kelly, 'Our leading public servant', National Times, 28 Oct. 1978, pp. 8–11; John Edwards, Keating: The Inside Story, Penguin Books, Ringwood, Vic., 1996, pp. 180–2; Robert Hyslop, Australian Mandarins: Perceptions of the Role of Departmental Secretaries, AGPS, Canberra, 1993, p. 60. Transcript of interview with John Owen Stone by Bernadette Schedvin, 17 May 1991–8 July1994, POHP (access restricted); The Centenary of Treasury: 100 Years of Public Service, Department of the Treasury, Canberra, 2001; Age (Saturday Extra) (Melb. ), 21 Nov. 1987, pp. 2–3; Weekend Australian Magazine, 19 March 1983, pp. 3–4; John Hurst, Hawke PM, rev. ed., A&R, Sydney, 1983. Age (Saturday Extra) (Melb. ), 21 Nov. 1987, pp. 2–3; Edwards, Keating, p. 181; Mark Westfield, 'John Stone out in the cold', Australian Business (Melb. ), 9 May 1984, pp. 12, 15, 17; POHP. Peter Samuel, 'John Stone: the budget hawk at the Treasury', The Bulletin (Syd. ), 28 Aug. 1979, pp. 22–8; Maximilian Walsh, 'Making powerful enemies', Australian Business (Melb. ), 3 Dec. 1981, pp. 12–13; Courier-Mail (Brisb. ), 16 Aug. 1984, p. 4; Stephen Bell, Australia's Money Mandarins: The Reserve Bank and the Politics of Money, CUP, Cambridge, UK, 2004, p. 27; Courier-Mail (Brisb. ), 29 Aug. 1984, p. 27; Age (Saturday Extra) (Melb. ), 21 Nov. 1987, pp. 2–3; Paul Kelly, The Hawke Ascendancy, A&R, Sydney, 1984, p. 58. Kelly, The Hawke Ascendancy, pp. 252–3, 263–4; Maximillian Walsh, 'How John Stone retained the Treasury', The Bulletin (Syd. ), 29 March 1983, pp. 20–4; Transcript, ABC Radio, 'PM', 15 Aug. 1984; Edna Carew, Keating, A Biography, Allen & Unwin, St Leonards, NSW, 1988; Edwards, Keating, Ch. 7; Shann Memorial Lecture by John Owen Stone, 27 Aug. 1984; Courier-Mail (Brisb. ), 18 Aug. 1984, p. 4; Peter Blazey, 'Now it's stirrer Stone, company director', The Bulletin (Syd. ), 27 Aug. 1985, pp. 44–5. SMH, 10 Oct. 1987, pp. 41, 44; Sunday Mail (Brisb. ), 14 June 1987, p. 1; Courier-Mail (Brisb. ), 15 June 1987, p. 8; CPD, 16 Sept. 1987, pp. 168–72; Ewart Smith, The Australia Card: The Story of Its Defeat, Sun Books, Melb., 1989; Australian (Syd. ), 24 Sept. 1987, p. 1; CPD, 7 Oct. 1987, p. 811. CPD, 21 Sept. 1987, pp. 388–92, 26 Oct. 1987, pp. 1212–16, 2 Nov. 1987, pp. 1537–40, 17 Nov. 1987, pp. 1860–4, 18 May 1988, pp. 2371–5, 20 May 1988, pp. 2640–3, 23 Nov. 1988, pp. 2643–7, 3 March 1989, pp. 391–5; 9 March 1989, p. 732, 10 April 1989, pp. 1265–1268, 7 June 1989, pp. 3559–65, 15 Aug. 1989, pp. 32–5, 29 Aug. 1989, pp. 483–4, 30 Aug. 1989, pp. 561–6, 603–7, 5 Dec. 1989, pp. 3894–9, 3928–33. CPD, 15 Dec. 1988, pp. 4261–5, 4304–5, 19 Dec. 1988, pp. 4452–3, 4529–32, 4543–44, 20 Dec. 1988, pp. 4578–82, 4639–42, 4650–1; Age (Melb. ), 25 Nov. 1987, p. 3, 15 Aug 1988, p. 13; SMH, 6 April 1988, pp. 1, 4; CPD, 25 Aug. 1988, pp. 346–51; SMH, 12 Sept. 1988, p. 1; Australian (Syd. ), 15 Sept. 1988, pp. 1, 15. Paul Davey, Ninety Not Out: The Nationals, 1920–2010, UNSW Press, 2010; SMH, 15 Sept. 1988, p. 6, 15 July 1989, p. 8; John Stone, 'Our greatest prime minister', Quadrant, March 2008, pp. 12–21.